We will ensure that all facilities are safe and advance learning for every student while planning with our community for sustainable growth. We will promote academic excellence through learning and enrichment opportunities that engage and inspire every student. We will implement internal and external communication systems to engage and inform, build trust, and develop partnerships with students, staff, parents, and the community. We will identify, develop, support, and retain a talented team of teachers, administrators, and staff who are equipped to meet the needs of every student. We will develop the whole child, cultivating the social and emotional skills needed to thrive in a diverse and ever-changing world. We will prepare every student for success after high school through a variety of experience and learning pathways. Inspiring students to learn; empowering students for life. Engaging as a community to discuss and identify the purpose of education in a local context is critical to the fidelity and sustainability of public education and to the success of every Round Rock ISD student. Round Rock ISD has an established practice of convening stakeholders to gather input about the goals for the District and to inform the decision-making process. The current Strategic Plan was drafted in 2014 with significant community input and focuses on innovative teaching and learning, technology, personalized learning, and flexible programs and learning environments. Following the May 2017 Bond Election, it became clear that the goals are in need of modification for future facilities planning. There was also a desire to broaden the plan to more effectively guide the annual District and Campus Improvement Planning processes. In January 2018, the Board of Trustees directed District staff to undertake a refresh of the Strategic Plan goals, as well as the District Vision Statement and Learning Framework, to ensure all are in line with community expectations and vision for its public school system. 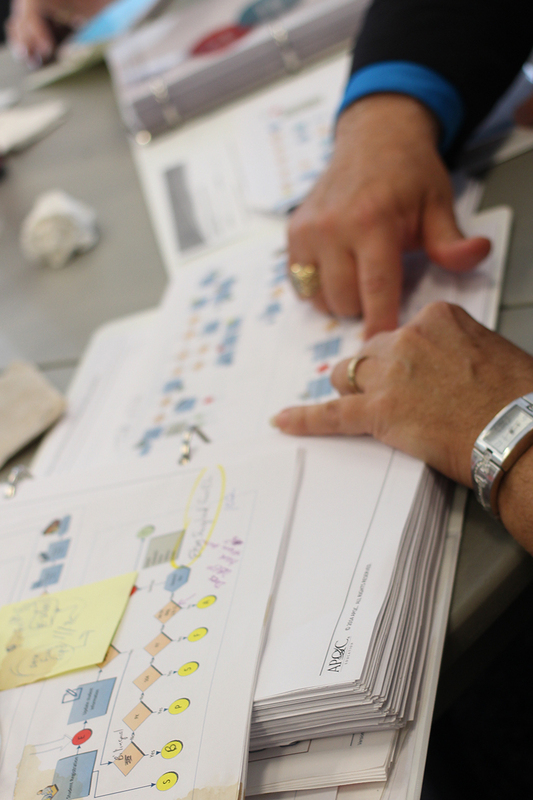 Community members were invited to participate on the Strategic Plan Refresh Committee and convened in three separate meetings to review and refresh current goals, brainstorm a new Vision Statement, and provide feedback on the District’s Learning Framework. The result is a set of draft goals and two potential Vision Statements that the community at large will have the opportunity to consider, with input forwarded to the Board of Trustees. 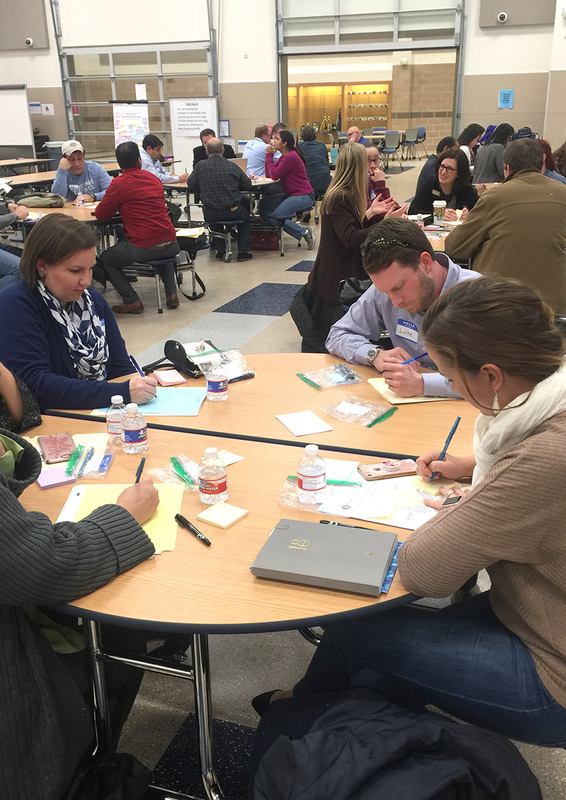 The first Strategic Plan Refresh Committee meeting, held at Round Rock High School, drew about 60 community members eager to participate in the process. Cathy Malerba, Ph.D., Round Rock ISD’s executive director of assessment and evaluation, reviewed the committee’s objectives and how the refreshed District vision, goals and Learning Framework will guide the District’s work. She also presented feedback from the Bond 2017 Survey, the District Goals Survey and recent learning community public forums. Committee members had time to reflect on the information, discuss ideas with fellow members, and then brainstorm ways to guide the refresh of the strategic plan goals. Specifically, committee members identified “big ideas” to focus on when drafting strategic plan goals. Major themes that emerged from the discussions included facilities, teaching and learning, and communications and community engagement. Other hot topics were recruiting and retaining high-quality teachers, social and emotional learning, and college and career readiness. District staff used the feedback to develop draft goals for review at the committee’s next meeting. Goals were posted around the room and members provided written feedback on how the goals should be modified. At their final meeting, members of the Strategic Plan Refresh Committee were able to see new goals modified to reflect their comments from meeting No. 2 (side by side with the original draft goals), and use an online tool to record their opinion on whether the goal captured their input—or not. The vast majority, 100 percent in some cases, approved each goal as revised. The goals will now be part of a survey to solicit input from the community at large, including Round Rock ISD staff, parents, community members and high school students. The committee also heard a presentation from the District’s Chief of Teaching and Learning, Mandy Estes, on the impetus and development of the District’s Learning Framework and how it provides a common vision for teaching and learning in Round Rock ISD classrooms in order to produce graduates who are ready for college and the workforce. Members had the opportunity to participate in a “chalk talk”, responding to the question “What should learning look, sound and feel like in Round Rock ISD?” by writing their ideas on paper posted around the room and connecting their ideas with others. That activity was followed by table discussions where participants identified strengths of the current learning framework and suggestions for improvement. Providing a coordinated set of documents to the Citizens Bond Committee (CBC) to serve as a resource for future bond elections. Several members of the Strategic Plan Refresh Committee have volunteered to serve on the CBC, which will begin meeting in March 2018, to ensure a solid connection between the vitally important work of both groups. 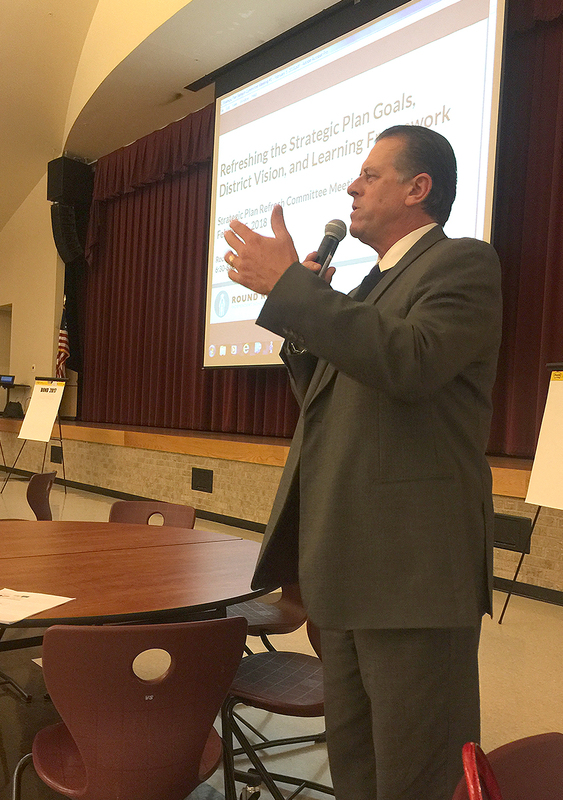 Four Strategic Planning meetings attended by parents, students, district employees, business leaders and community members held in 2014-15 led to the creation of Round Rock ISD’s current Strategic Plan.